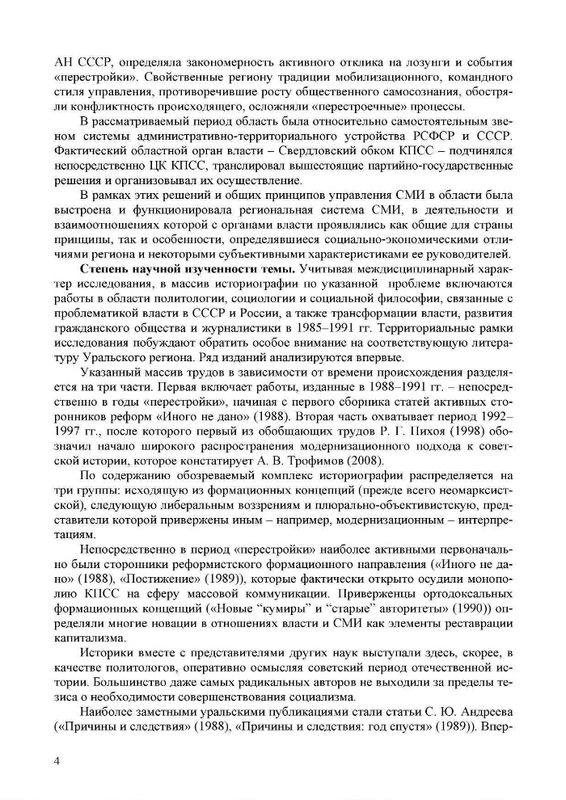 Home / Power and the media in the Sverdlovsk region in the period 1985-1991. 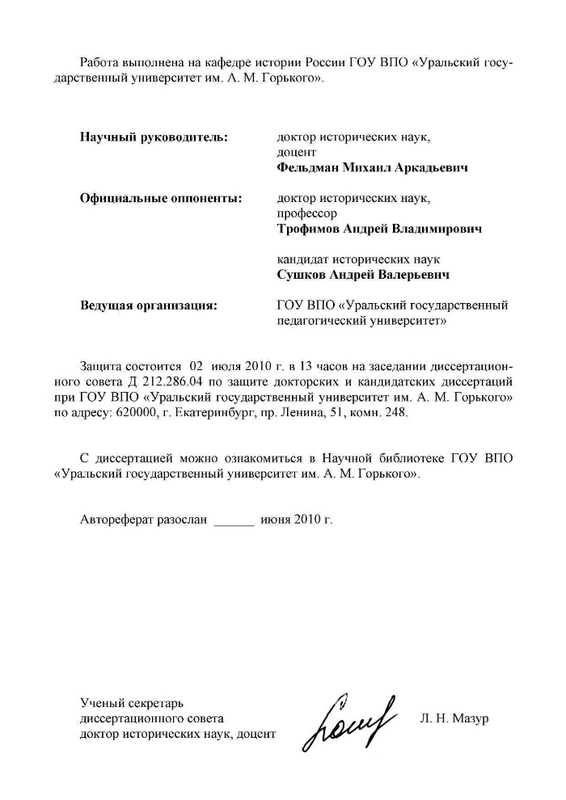 Rastorguev, Andrei Petrovich (candidate of historical sciences). Protection site: Ural. state. un-t them. A. M. Gorky. - List of works avt. at the end of the text (6 titles). - As a manuscript. 1. Power (collection). 2. 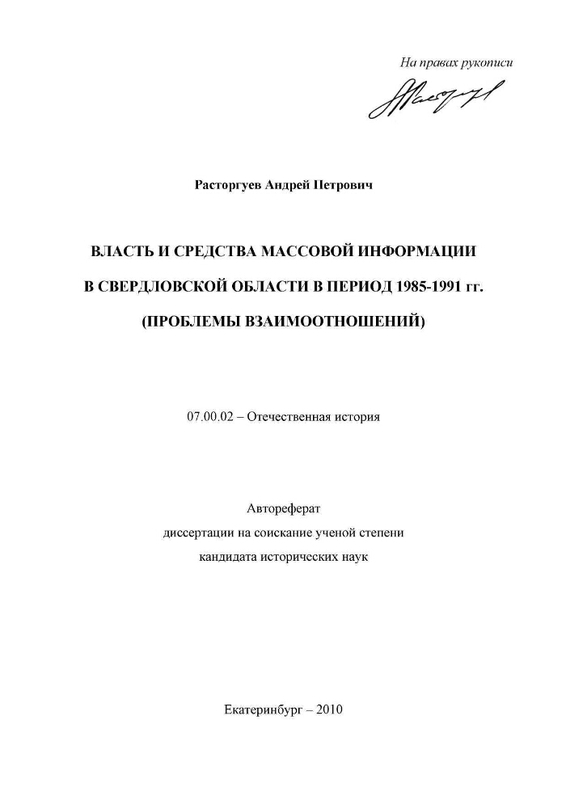 Sverdlovsk region: pages of history (collection). 3. Territory of Russia: Sverdlovsk Region (collection). 4. Russian history. 5. 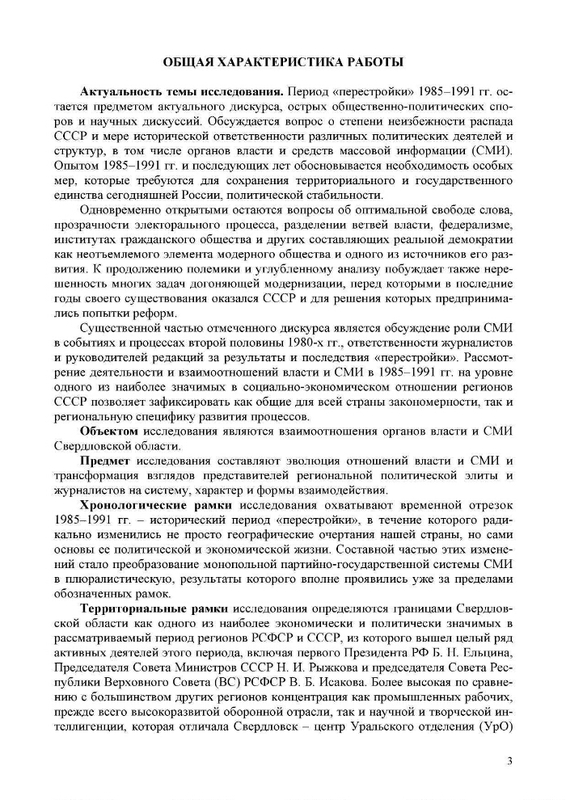 Bodies of state power - Relationships - Mass media - Sverdlovsk region - Abstracts of dissertations. 6. 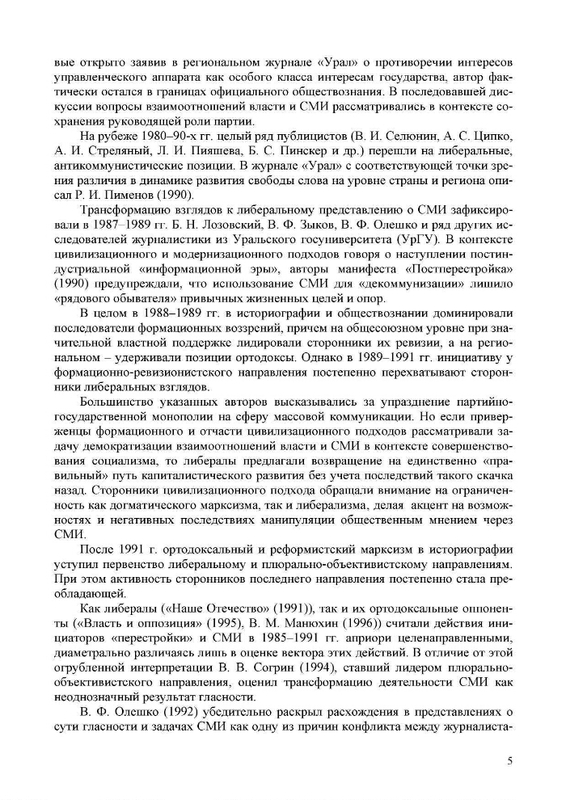 Mass media - Relationships - State authorities - Sverdlovsk region - Abstracts of dissertations.